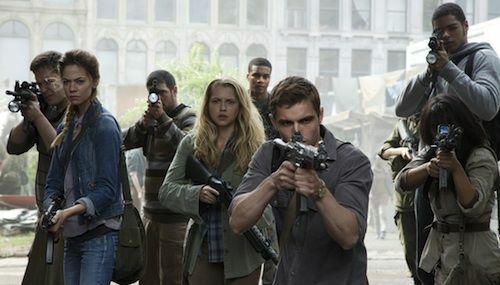 "Warm Bodies" was supposed to be one of those movies that I watch and grin about stupidly before moving on with my mundane, non-zombie-infested life. 2) I've been a fan of Nicholas Hoult since I first laid eyes on him in Skins. 3) I'm also a fan of the director, Jonathan Levine, who directed "50/50" and "The Wackness". So, you know, the movie geek in me pretty much rejoiced and did a lil zombie dance to "Thriller". The only thing "Twilight"-esque about this movie is Teresa Palmer, really, who looks like a clone of Kristen Stewart. Except she actually has different expressions. 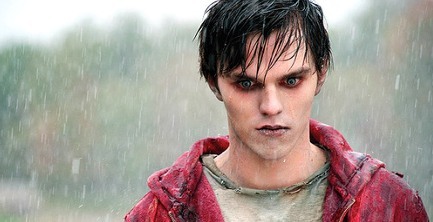 The "Twilight" assumptions aside, "Warm Bodies" actually does a really good job in terms of the zombie-human love story thing. I wasn't really sure whether they'd be able to pull it off, but they definitely got me rooting for them from beginning to end. After all, what's not to like? The cast is great, the storyline is great, the director is great, and guess what? Nicholas Hoult is actually American in this and it didn't bother me one bit. In fact, it didn't even dawn on me that he is actually British until I recalled the shows/movies I've seen him in. Basically, his American accent didn't make me want to slowly slice my fingers off the way Emma Watson's did in "The Perks of Being a Wallflower" - and that's an achievement. 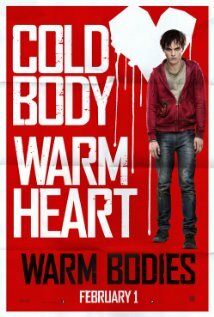 Of course, not everybody will appreciate or like the quirkiness of "Warm Bodies" (which is, I've decided the perfect word to describe the movie), but I definitely did. Although it isn't exactly LOL-funny, it was definitely warm, lame, fuzzy chuckle-funny, and it warranted 3.5 zombie brains out of 5 for me. Cute movie overall (yes, it's a cute zombie movie), but I'm not too sure if I'd appreciate it as much the second time around. <3 the new look on your blog. Teresa Palmer looks a lot like K. Stewart. First noticed that in I am no.4. Given the explosion in zombie culture and the avalanche of zombie movies, it was only a matter of time before a studio pitched the romantic possibilities. However, if this is what we get from the studios, well then I guess I can’t be that mad. Good review. Did you know you can create short links with AdFly and receive $$$ from every visitor to your shortened urls.